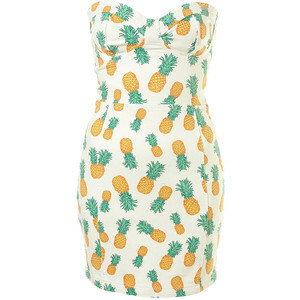 Or is it cuter as a dress? I absolutely love pineapple. I eat it nearly every day. 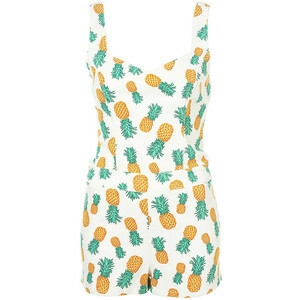 This little playsuit would be perfect for me with a denim jacket and boots, or gladiator sandals for summer. I'm getting very excited about my birthday now (9 days of being a teenager left!!) and I'm actually looking forward to working 20 hours a week again for a few weeks over Easter so I can buy little beauties like this!! 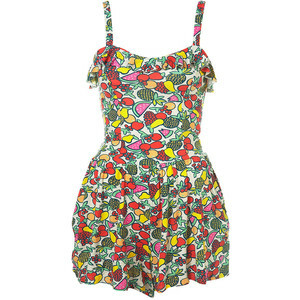 I really want a little floral playsuit. In fact, I might do a post on some of my favourite playsuit. Are fruits the new florals?